Joining in the victory dance was Pearl Street Films, a production company owned by Ben Affleck (Justice League) and Matt Damon (Surburbicon). Affleck is set to direct the movie, with Damon to star. Deadpool 2 writers Paul Wernick and Rhett Reese will pen the script. It was previously reported that those bidding on the rights to the story included up to bid on the rights to the article include Universal Pictures as a vehicle for Kevin Hart, Warner Bros as a vehicle for Steve Carell, Netflix for Robert Downey Jr., Susan Downey and Todd Phillips. Vulture reports that others in contention for story included Martin Scorsese who naturally wanted Leonardo DiCaprio for the lead, Will Ferrell and Mark Wahlberg separately tried to snag the rights and even Steven Spielberg’s Amblin Entertainment was in on the bidding. Vulture has also shed some light on how the viral story turned into a lucrative movie deal and it turns out that this had been the plan all along. The author of the original piece, Jeff Maysh, along with indie film and TV producer David Klawans, had been working on the “McScam” story together since 2016. Klawans is known for his meticulous research and an eye for oddball stories. After rooting out these unusual and often obscure news pieces, he then hires journalists to re-package these stories before selling them to major media outlets. Ben Affleck’s 2012 movie Argo is a direct result of Klawans’ method. Klawans and Maysh had worked together since 2013. Over those five years, the two have managed to get a handful of films into development based on stories they’ve gotten published in outlets like The Atlantic and BBC News Magazine. 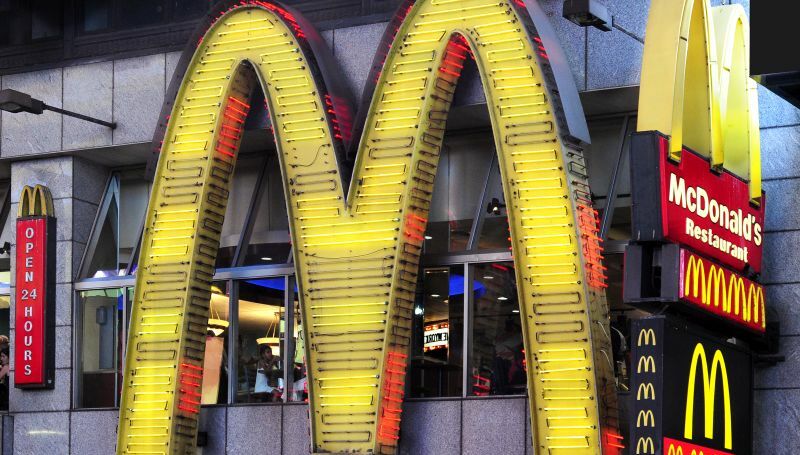 The post Bidding War for McDonald’s Monopoly Scam Story Set a Hollywood Record appeared first on ComingSoon.net.